In this post I’m going to present you all the work that me and Axel Rodriguez were doing during this semester in our class of INF 1034, hope you like it and learn a lot. Our work is based on the dark web, we present information of how to access it, how it works, it’s dangers and also the benefits of technology. La artista dice en el video que no pudo hacer una entrevista normal y nos habló breve nada más. The definition of the dark web, according to Oxford’s Dictionary: The part of the World Wide Web that is only accessible by means of special software, allowing users and website operators to remain anonymous or untraceable. 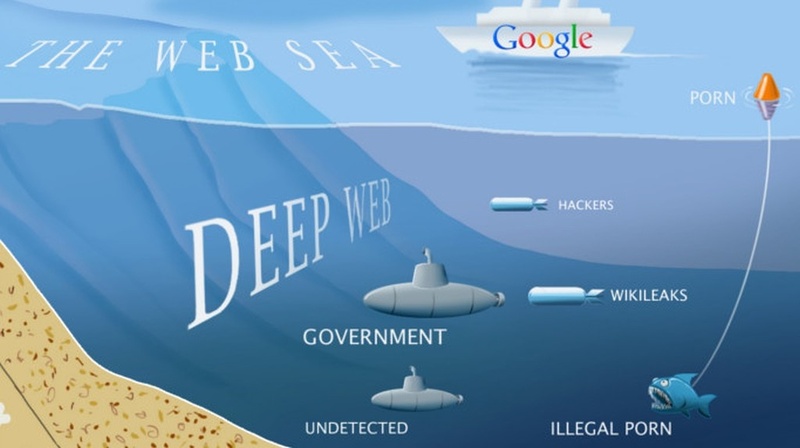 The dark web is hundreds of times bigger than the World Wide Web. Only about 40 percent of the world’s population uses the Web for news, entertainment and communication. It is also have the commercial underworld, called the “darknet,”. It’s a place where drugs and weapons are openly traded, where terrorists link up, and where assassins bid on contract killings and also in recent years, the “darknet” has found itself in government problems, with the FBI and National Security Agency (NSA) looking down drug merchants and pornographers. The dark web takes a large part of the world wide web. Only about 40 percent of the world’s population uses the Web for news, entertainment and communication. It is also have the commercial underworld, called the “darknet,”. It’s a place where drugs and weapons are openly traded, where terrorists link up, and where assassins bid on contract killings and also in recent years, the “darknet” has found itself in government problems, with the FBI and National Security Agency (NSA) looking down drug merchants and pornographers. Dark web sites look pretty much like any other site, but there are differences. One is the naming. instead of ending in .com or .co, dark web sites end in .onion. ¿How to access the dark web? You can’t get to the Dark Web using your regular web browser (Google). You all need a special browser. The best and most popular is Tor. With Tor, you are able to reach not only the Dark Web, but the even smaller section known as the Tor Network. This area of the internet is built so you can be in anonymity also all transactions are done using bitcoins, a digital currency that allows users to buy things online without leaving the paper trail of a credit card. If you want to use the dark web (Do not recommend it), the most important thing would be to do it with a lot of caution. In the dark web chances of being scammed out of your money are higher than the regular internet. One thing you should do is to cover your webcam with tape, as you might be secretly recorded. Also, never download any software or plugin from the deep web, it could be used to hack into your system. Also access your private documents while being in the dark web. In the iOS world exists apps that allow you search on a private server that keep your identity anonymous and you can also download things that the safe web don’t allow you. It’s also recommended when downloading the browsers, use VPN.